Much to my great surprise, in that its’ closing was not hyped per usual, “Tuck Everlasting” closed today. Hard on the heels of the announcement of “American Psycho”s going down the Bway drain. I imagine that both shows closing so precipitously lost all their investments which would add up to millions, though I don’t have the figures in front of me. “Tuck” was so bad I didn’t even review it. I have a limit to which I can spend two hours plus of my valuable time, trying to describe just what is bad about a bad show. “Tuck” was one of those shows. I’m trying to record all my responses to the bad ones, and there were plenty this season, on Twitter. I can manage two sentences, but two hours is just too much. Especially when there are so many shows that are exemplary and worth the time and the hype. My twitter handle btw is @haveafabulous. That’s the tag line I’ve been using as my sign-off for the past 28 years on my TV show. Which, if you’ve never seen it, is a web-series now on Youtube at www. youtube.com/StephenHoltShow. I did think I tweeted “Tuck-Will it even last til the Tonys?” And no, it didn’t. Here’s a link to a fuller recounting, but notice, like for “American Psycho” no figures are included. “Bright Star” & “The Humans” Times Two! 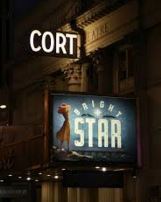 Seeing “Bright Star” for the second time this past Saturday was just astounding! I was shocked that I found myself crying through the appropriate sections of the hyper-emotional first act! I was totally wiped out, and was shocked that I responded that intensely. But WHAT an experience! Seeing a show for the second time, especially one that you liked as much as I did “Bright Star”, is always a slightly scary proposition. Will it hold up? Will you still like it as much as you did the first time? Well, I liked “Bright Star” MORE. I didn’t think it was possible, but I did. And I can’t WAIT until the Original Cast Soundtrack comes out this week! Can’t WAIT! 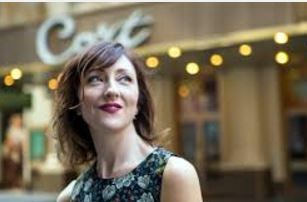 Carmen Cusack in the title role just continued to astound and astonish. From the first notes of her opening number “If You Knew My Story”, I was just swept away. And never came back til the intermission! 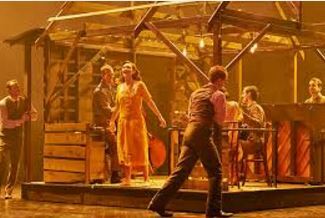 The story of a young, bright girl in the rural South of the 1920s, who has the heart as big as all the world is tragic and frightening as it unfolds, as “Bright Star”s emotional roller-coaster continues to flatten you, lift you up,lurch you this way and that, and ends with the powerful image of a suitcase/satchel being thrown off the train and into the night. You’ve GOT to see it! And “The Humans!” I was so lucky as a Voting Member of the Drama Desk to get to see it also for a second time yesterday and it, too, seems to have grown. That’s the beauty of live theater. It’s alive! And can grow and change and flower in the most astonishing ways..
“The Humans” with its’ visually dead, almost sinister, mundane duplex set of the heroine’s apartment in Chinatown, seemed darker, more foreboding, which only adds to its’ impact. The resplendent Jayne Howdyshell and the terrific Reed Birney as the mother and father of the attendant Irish Catholic clan continue on their march into Awards Season history, and I can’t wait to see the results. “The Humans” has also grown into a kind of phenomenon, as it, too, has taken the lead in the “Best Play of the Year” sweepstakes. I thought it was a battle between “The Humans” and “Eclipsed” but now I think it’s “The Humans” to lose. When theater pieces are as good as “Bright Star” and “The Humans” you really CAN’T see them enough! I can’t wait to encounter both of them, again! 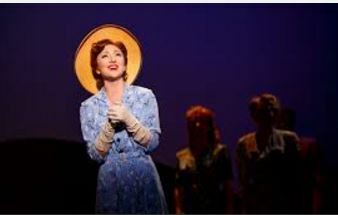 “Bright Star” Wins Best Muscial & Best Music from Outer Critics Circle! This morning, I’m happy to say, my fave of faves “Bright Star” won Best Musical and Best Music for its’ composers, and Broadway first times, too. 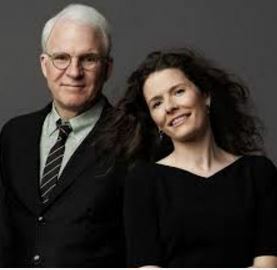 Steve Martin and Edie Bricknell. And Here’s the rest of them! Hot off the presses! “Long Day’s Journey into Night” with 3 Awards! New York, NY (May 9, 2016) Outer Critics Circle, the organization of writers and commentators for media covering New York theatre announced today its award winners for the 2015-16 season in 25 categories. Celebrating its 66th season of bestowing awards of excellence in the field of theatre, the Outer Critics Circle, is an association with members affiliated with more than ninety newspapers, magazines, web sites, radio and television stations, and theatre publications in America and abroad. ***Please note: The musical “Hamilton” was nominated for and won in several award categories for its Off-Broadway production last season. The previous Off-Broadway productions of “Disaster” and “Blackbird” were considered for nominations by the Outer Critics Circle and therefore were not reconsidered for this year. Only new cast members’ performances in these productions were taken into account for recognition in the 2015-16 season. Due to OCC’s nomination deadline, the producers of the new Broadway musical “Shuffle Along,” asked to be considered with next season’s entries. TONY Nominations Out! “Hamilton” Breaks Record! “Bright Star” Gets 5!! !